Ah, the turtleneck. Uniform of both mimes and moms everywhere (and this weird guy). 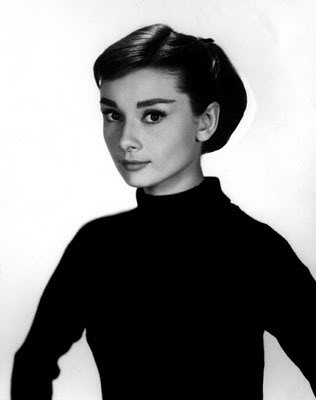 Whether they make you want to bust into a rap or put on a vampire puppet show, I maintain the turtleneck to be a cold weather staple that can totally be Audrey chic. Plus, like, they keep your neck warm. Thus, we begin week four of Take One, Pass it on. Here's how I wore the turtleneck yesterday. It's a solid basic for any closet, as long as you aren't claustrophobic in your neck area. Turtleneck, The Limited (this years version). Vest, The Limited (similar from Chicos, Anthro). Skirt, Charlotte Russe (similar from XXI).